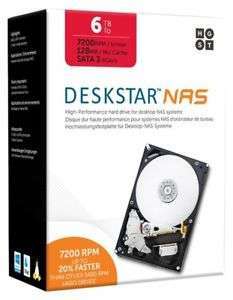 6TB internal HDD model number HDN726060ALE614, designed for 24/7 NAS operation. OEM packaging. 3 year warranty. Free delivery. Seller has 15,410 feedback with 99.4% positive rating. Thanks OP, ordered. I was watching out for a little reduction on some WD Red's but at this price I'll jump in for the larger HGST's. Ebuyer had the WD red 4TB down to £100 yesterday. I managed to pick one now they are out of stock. Same seller has a 4 pack for £550.